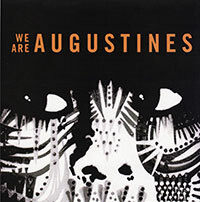 Last month we digitally serviced “Chapel Song” and “Book of James”, this week we have a 5-song EP from We Are Augustines for download. The EP includes three new tracks which follow in the same tradition as the two aforementioned songs, all of which will be featured on the band’s debut record, Rise Ye Sunken Ship, due out August 23rd. A physical copy of the EP will be landing at your station this week but you can check out the tracks right now!